Insider trading on green energy in Harry Reid’s office? The Wall Street Journal reported today about a staffer in Harry Reid’s office who nearly doubled his $3,500 investment in a renewable energy firm in 2008. Sen. Reid helped pass legislation that benefitted the firm. Reid’s spokesman tried to defend the staffer, Reid’s top energy policy adviser, by asserting that he had no influence over tax incentives for renewable energy firms. Under federal securities law, of course, it is not important whether the staffer had any influence over legislation, Sen. Reid or anyone or anything else. If it can be shown that the staffer breached a duty of confidentiality in using “inside information” as the basis for buying and selling the stock, then he may very well be guilty of the crime of insider trading. Federal prosecutors and the FBI have been investigating possible illegal insider trading by two Securities and Exchange Commission enforcement attorneys who were in a position to receive sensitive information about agency probes of public companies. Similarly, if the staffer had material information that the public didn’t have and he took advantage of it in the buying and selling of securities, he could have committed a serious crime — as well as anyone he may have tipped off. Reid’s staffer has denied wrongdoing, but that should not be dispositive. The Department of Justice, FBI and U.S. Securities and Exchange Commission ought to be investigating the staffer as well as any other potential insider trading violations described in the WSJ article. At the very least, the staffer should be afforded the same opportunity as Martha Stewart to chat with federal investigators — that worked out so well for her. Don’t expect this to happen, however, as Sen. Reid and other members of Congress will no doubt quietly work to quash any investigation. President Obama is so concerned about greenhouse gas emissions that he’s essentially killed the Calvert Cliffs (Maryland) nuke power project. Oh sure, Constellation Energy technically pulled the plug on its own project, but only after the Obama administration demanded $880 million in exchange for a $7.5 billion loan guarantee. That the Obama administration would allow a mere $880 million to come between it and its supposed goal of reducing greenhouse gas emissions is absurd. The administration has blown billions of dollars on a variety of allegedly green stimulus projects that have no prospects of accomplishing anything meaningful. President Obama is doing what the greens want (i.e., killing off nuclear power) and he is doing it in a way that provides political cover (i.e., making Constellation the bad guy). 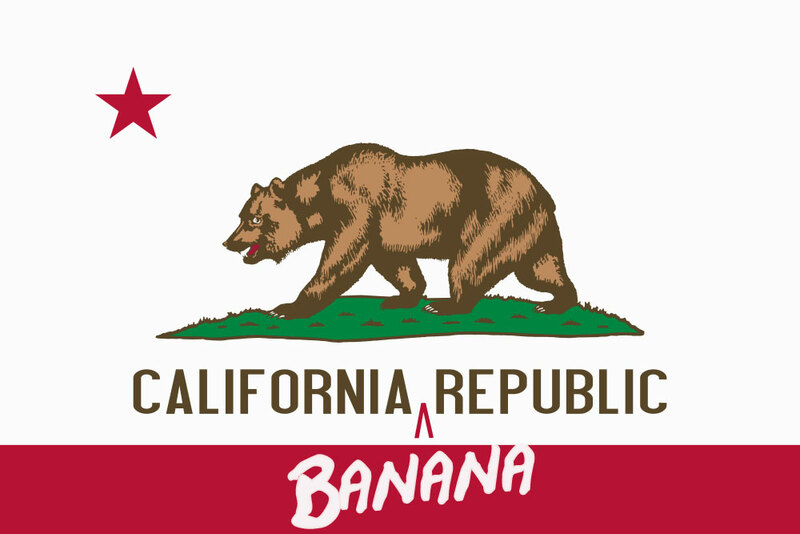 The banana-fication of California is reaching critical mass. The Antelope Valley Union High School District has entered into public-private partnership (taxpayer beware!) with private firm PsomasFMG to build a 9.6 megawatt photovoltaic system, according to a report in Climatewire. And what a deal it is. The school system, which expects to save $40 million over the life of the panels (no word of how long “life” is), will not have to put any money down, instead signing a 20-year power purchase agreement with PsomasFMG for about 80 percent of its power needs. Southern California Edison will generously provide the other 20 percent at a reduced rate. A “bonus” feature of the deal is that PSomas will donate $20,000 to train a teacher to design a special algebra curriculum (6th grade to high school) to train students to work in the solar industry. Solar algebra? Are you kidding me? But while the school district is “saving” millions in electricity bills (who knows how the “savings” were actually calculated), federal and state taxpayers will be paying for this scam, including a 22-cents-per-kilowatt-hour subsidy from the state-run California Solar Initiative. While it apparently is illegal for school districts to get federal funding for such projects directly, the project will evade the law by using PsomasFMG as the subsidy recipient. Try a scheme like that at home with, say, federal tax or election laws and see in which federal prison you land! And many Californians appear to approve of this sort of activity. A new Reuters/Ipsos poll claims that Proposition 23, a ballot initiative to roll back California’s global warming law until unemployment recedes, is losing 49%-37%. That any Californian who could vote himself out of a paper bag would oppose Proposition 23 is incredible — the state has a budget deficit of $19 billion and and unemployment rate of 12 percent. The state needs to create economic growth and revenue producing jobs as opposed to innovative ways to milk a shrinking tax base. Perhaps, we can hope, the poll is just another mainstream media ploy to discourage voters from turning out to save California from the green grifters. In any event, the people behind the Antelope Valley school district scheme should be investigated — not cemented in place by the defeat of Proposition 23. It’s hard to sufficiently mock President Obama’s decision to install solar panels on the White House. But I’ll try. The cost of the panels at this point is unknown. But the White House has assured the public that the installation job will be offered through a competitive bidding process. Given that Jimmy Carter spent about $30,000 in the 1970s installing solar panels on the White House (removed in 1986 by President Reagan), you can bank on President Obama’s folly blowing that price tag away, especially when you consider all the federal employee staff time, and security and public relations efforts that will go into the project. Since the annual savings of the system is estimated to be only $2,300, you could also safely bet that the system will never actually pay for itself—no matter how many decades (centuries?) the system is used. The system won’t make the White House energy independent since nighttime, clouds and rain will all force the building to remain hooked up to its existing power sources and back-ups. Finally, the system will offer no environmental benefits. Whether or not you believe that manmade greenhouse gas emissions are changing global climate for the worse, whatever few tons of carbon dioxide emissions that might possibly be avoided through White House (or anyone else’s) use of solar panels will scarcely offset the new coal-fired power plant that China erects every other week. The panel installation can be, then, little more than a too-little-too-late exercise in public relations to salvage something legislatively for President Obama’s green base. While even President Obama has given up on a cap-and-trade bill coming out of this Congress, he no doubt would like to prod Congress into passing a so-called national renewable electricity standard (RES) in the upcoming lame duck session of Congress. An RES would require that a certain percentage of electricity generation come from solar, wind biomass and other supposedly renewable sources. Conveniently, Senators Jeff Bingaman (D.-N.M.) and the retiring Sam Brownback (R.-Kan.) have just introduced such a bill (S. 3813). The President’s desperate green supporters insist the White House project is not completely symbolic. The CEO of solar panel maker Sungevity told Climatewire that, “This is not about Carter and another President doing solar; it’s about the fact that solar is able to save customers money.” Just who those customers are and how much money they’re actually saving, wasn’t disclosed, however. The Center for American Progress’ Richard Caperton told Climatewire that if the President used the solar panel announcement “appropriately,” he could “show that the [solar] industry leads to jobs.” But of course the vast majority of solar manufacturing jobs are in China, where renewable energy workers earn about 1/10 of American workers. DuPont is expanding its facility in Circleville, Ohio, to manufacture solar energy materials, accepting $56 million in federal stimulus and state aid for the $175 million project. What does the taxpayer get for all that money? Seventy new jobs created, 444 existing jobs retained and 230 construction jobs. Add all the jobs up and divide and you get a per job cost of $235,000, $76,000 of which comes from taxpayers. Taxpayers are on the hook for about $114,000 for each stimulus-funded solar panel job at projects in Longmont, Colo., and Tipton, Ind. Then there is the $592,000-per-solar-job cost at the Emmet J. Bean Federal Center in Indianapolis, Ind. Pardon me, but since the purpose of all this is to force consumers to spend more money buying high-priced energy (but only when the sun shines), as a taxpayer, I vote for unemployment. This letter responds to the comments of the Environmental Working Group (EWG) concerning the nomination of Dr. Michael Economides to serve on the EPA Science Advisory Board (SAB) Panel for the Review of the Hydraulic Fracturing Study Plan. If such a standard — i.e., publicly expressing an opinion relating to an area of one’s expertise — is grounds for disqualification, then the SAB will need to disqualify many of its current members. Gina Solomon, a member of the SAB Drinking Water Committee is an employee of the Natural Resources Defense Council, an environmental activist group. Ms. Solomon, herself a self-acknowledged activist, has a long history of making alarmist statements to the media on a variety of environmental topics — too many to do justice in this short letter. But one may get a flavor of her various biases from her blog (http://switchboard.nrdc.org/blogs/gsolomon/). Arnold Schecter, a member of the SAB Dioxin Review Panel, has many times expressed his alarmist opinions regarding dioxin. Mr. Schecter’s Facebook page, not surprisingly, reveals that he is a fan of the Environmental Working Group — which perhaps is why EWG hasn’t requested to have Mr. Schecter disqualified from serving on the Dioxin Review Panel. Bruce Lanphear, a member of the SAB Lead Review Panel, has often expressed alarmist opinions about exposure to lead, including that “there is no safe exposure to lead.” Mr. Lanphear has also called for a ban on commercial uses of lead. There is no question that many other members of the SAB and its ad hoc committees and panels could be exposed for the apparent wrong of expressing an opinion. If Dr. Economides is to be disqualified for holding opinions in his field of expertise, is the EPA prepared to similarly disqualify the above-mentioned individuals as well as all other SAB participants who can be shown to have publicly expressed their opinions? But EPA is not, in fact, legally obligated to regulate GHGs under the Clean Air Act. In its March 2007 decision Massachusetts v. EPA, the Supreme Court ruled only that the EPA may — not that it had to — regulate GHGs. 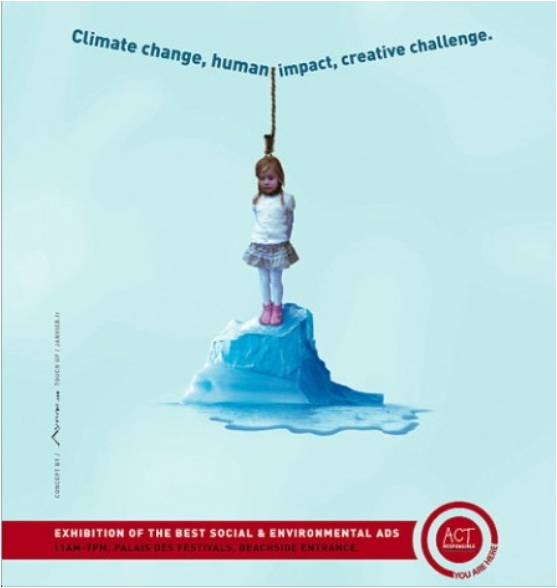 And the Bush administration subsequently declined to regulate GHGs. It wasn’t until December 2009 that the Obama EPA got around to declaring greenhouse gases to be a threat to the public welfare (the so-called “endangerment” finding), an optional pronouncement that enabled the EPA to move toward regulating greenhouse gases. But just as the EPA opted to make the endangerment finding, it could opt to reverse it, thereby relieving the agency of any obligation to regulate GHGs under the Clean Air Act. Lisa Jackson knows full well that the EPA does not have to regulate GHGs, yet she plays to the media like her hands are tied to following an economically-suicidal and environmentally-futile course. It’s terrific that Sen. Chuck Grassley wants to help out Iowa’s wind industry, but does he have to sell out the rest of the state in the process? Last week, Sen. Grassley co-sponsored a bill (S.3813) to establish a national renewable electricity standard (RES), legislation that Sen. Harry Reid (D-NV) has indicated he would try to make the consolation prize in this Congress’ final lame duck-clash over global warming regulation. What is RES and why should Sen. Grassley not go down the RES road at all? An RES would require that electric utilities generate a set percentage of their power from so-called “renewable” power sources, like solar and wind, by a certain date. The disastrous-for-House-Democrats Waxman-Markey cap-and-trade bill passed in June 2009, for example, would require that utilities generate 20 percent of their power from renewables by the year 2020. S. 3813 would reduce the Waxman-Markey standard to 15 percent. But even a 15 percent RES would be quite the monumental challenge given that solar and wind power provide less than 2 percent of current electricity generation and require massive subsidies to do so. According to the Department of Energy, solar and wind are each subsidized at a rate 55 times that of coal, 97 times that of natural gas and 15 times that of nuclear power. Imagine a utility that generates 100 percent of the electricity it sells by burning coal or natural gas. Impose the S. 3813 RES standard on that utility and, all of a sudden, only a maximum of 85 percent of its electricity can be generated by fossil fuels. In other words, the utility’s use of fossil fuels has been capped — the result would be skyrocketing energy prices. But the same reasons for opposing cap-and-trade can and ought to be applied to RES, which ought to be labeled as calling cap-and-subsidize. So the difference between RES and cap-and-trade is merely a change in form, not a change in substance of an economy-killing consumer/taxpayer rip-off. None of this is to dissuade Sen. Grassley from trying to help Iowa’s wind industry, which is the second largest in the U.S. – but that path forward is much different than a job- and economy-killing cap on fossil fuel use. The first step forward for wind entrepreneurs is to push for tax and regulatory policies that will restart economic growth. A growing economy requires more energy, thus enlarging the opportunities for renewable technologies. Next consumers who value renewable electricity should be allowed — not forced — to purchase it at whatever price the market will bear. The renewables industry should also be encouraged to look for niches where its technologies are competitive with conventional energy technologies. Finally, like all other business enterprises, the renewable energy businesses should look for efficiencies that make its products more cost competitive. Many in the renewable energy sector have gotten lazy and have decided that hiring lobbyists is easier than innovating and competing. Sen. Grassley should work to help the latter and to discourage the former.